Here I am just surfing through sites, seeing what's what and I trip onto River Island's page and right into their autumn winter arrivals. Ladies, the high street brand is killing it this season and taking A LOT of inspiration from top designers. 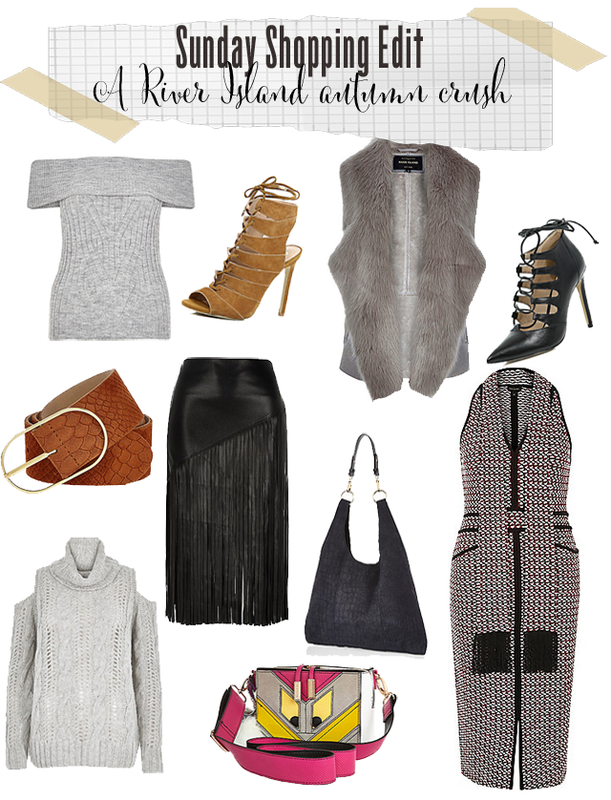 Spot the monster bag and shoulder sling, or how about the fringed skirt or perfect faux fur gilet? It's all accounted for and ready to jazz up pre-fall wardrobes. Most you can wear now, but maybe leave the sweaters for September! Here's FFG's edit of the best of new arrivals and all well under £100.